Loan origination fees cover the lender's costs of making a loan and compensate them for helping consumers get a mortgage. The fee is based on a percentage of the principal amount of the mortgage and is paid by the borrower at closing. Jamie Elliot wanted to buy a home in the suburbs of Seattle, a place within a short commuting distance of her downtown office. She contacted a mortgage company and provided some pre-qualification documents. Her loan advisor ran a routine pre-qualification and told Jamie she could get a $350,000 loan. The mortgage company indicated they'd charge a 1% origination fee, or $3,500, to make the loan. After reviewing her loan application, Jamie and her loan advisor determined that the FHA mortgage program was the best fit for her, based on Jamie's financial profile, the amount of cash she'd saved for a down payment, and overall financial situation. Should Jamie proceed to get a mortgage with this company and what does she get in return? Origination fees pay for her loan originator (also known as a loan advisor, loan officer, mortgage banker, etc.) to evaluate her income, employment history, credit and current liabilities (debts) to determine how much she can borrow. She’d also have a point of contact to answer all of her questions along the way, someone who’d help guide her through the process. This is a typical experience for most borrowers. 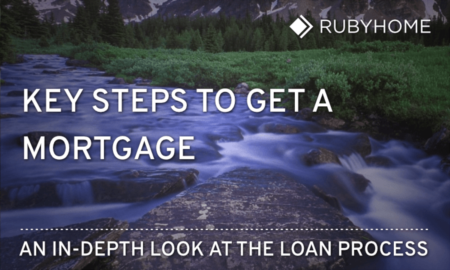 Loan advisors do some research, number crunching, and paperwork to find right the loan program based a borrower’s profile today as well as how the mortgage payment might impact their financial situation in the future. Then, loan advisors stay in close contact with borrowers and real estate agents, shepherding the transaction all the way to closing. Jamie received a pre-approval letter which helped her procure a buyer’s agent (the name for a real estate agent who represents a buyer). The agent with whom she spoke was happy to see Jamie was prepared to check out some properties. More often than not, an agent will a pre-qualification as the first step to buy a home. What's more, home sellers will often not permit "showings" to home shoppers who cannot demonstrate an ability to buy. Jamie also received a Loan Estimate, which contained a line item on Page 2 showing the origination fee, in this case, it was 1%. Other line items, for third-party service providers like appraisers and government agencies (e.g. county recording fees), were also itemized in the estimate. Borrowers can expect receipt of an initial Loan Estimate within three (3) days of the mortgage application and again, three (3) days before closing they receive a Closing Disclosure. Collectively, these are known in the mortgage industry simply as disclosures. Jamie found out there's a lot of paperwork to buy a home. Origination (verb) describes the activities that lenders and their employees undertake to acquire (marketing, advertising) and assist (sales, service) customers with home loan financing. As Jamie’s mortgage application moved through the underwriting process, her mortgage advisor provided excellent customer service; this is another thing borrowers should expect in exchange for the origination fee. Good customer service includes an explanation the loan process, ongoing notifications of the loan file status, communication regarding the transaction details to the real estate agent (in the case of purchases, not so much for refinances), and keeping the deal on track. When a mortgage transaction closes, origination is complete. After that, mortgages are typically sold to one of two government-sponsored entities (GSEs) Fannie Mae and Freddie Mac. GSEs comprise the secondary market. GSEs create liquidity by returning capital to lenders, allowing them to make more loans. Mortgage Origination Fees: Going the Way of the Dodo Bird? Origination fees are less common these days. Jamie’s lender still charges them, but many companies abandoned them a few years ago. After the mortgage crisis and Great Recession, the Consumer Financial Protection Bureau (CFPB) created many new guidelines, including the loan originator rule. Within the rule, a key provision regarding origination fees prohibited loan originators from being compensated by both a consumer and another person, such as a creditor. In the “old days,” a loan officer could simultaneously receive a commission from the borrower (via the origination fee) as well as a commission from the creditor, resulting in a yield spread premium (YSP). Loan originators can no longer charge an origination fee and receive compensation from the creditor. What’s more, lenders and banks set company-wide policies that dictate whether or not their loan advisors charge an origination fee or skip it. Consistency is key. This is the consumer-facing part of the mortgage industry. Typical activities include marketing, taking loan applications, helping consumers choose the best mortgage program, assembling loan files and providing customer service during each stage of the mortgage transaction. 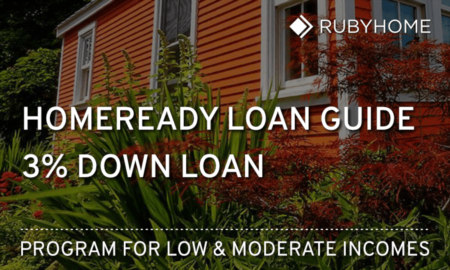 When the loan closes, the mortgage is typically delivered to the secondary market. This term is used one of two ways. It either refers to a lending organization (bank, mortgage company or brokerage) or the salespeople who work there (loan advisor, loan officer, etc.) As a consumer, you’re most likely to hear the term loan originator as a reference to individuals rather than institutions. Interesting fact: Originators who work for retail banks are not required to hold a license. Conversely, originators working for non-bank lenders must pass national and state exams, be registered and hold a valid license from the state in which they conduct business. What is the average loan origination fee? For lenders that still charge for loan origination, the industry norm is 1%. What’s the difference between origination fees and discount points? Origination fees cover a lender’s cost to make a loan. Discount points are prepaid interest, resulting in a lower interest rate on the note, for the life of the mortgage. Sometimes you’ll hear people say, “I’d like to buy a point.” What they mean is that they’d like to pay some money upfront to get a lower note rate. This lowers the overall cost (total interest payments) over the long run. Yes. Borrowers with excellent credit scores and/or higher loan amounts will have the most leverage. Are origination fees tax deductible? Some origination charges are tax-deductible. Tax laws periodically change, so checking with your accountant, the most recent version of your tax software, or the current IRS rules is highly advised.